How can I adjust my store settings? 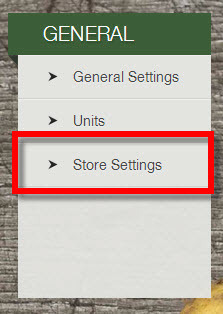 To find Store Settings, click on the Settings icon from the sidebar menu. Then click on Store Settings under General. 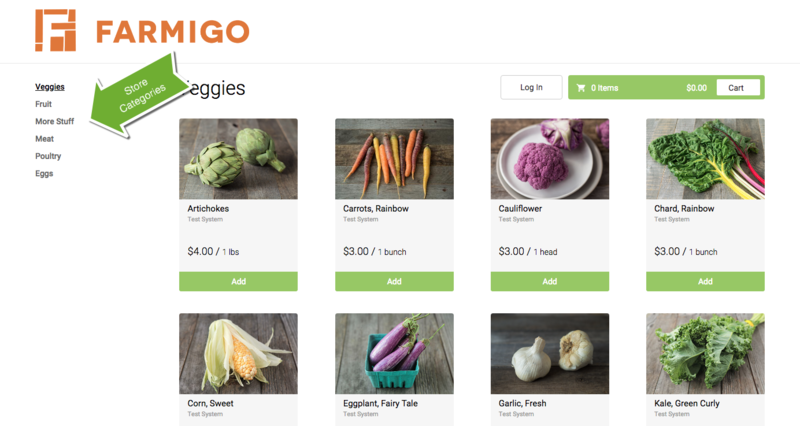 Store Settings include Member Access Hours, Order Settings, Member Access Editor, and Store Categories. Minimum Order: This is where you set the minimum order amount for your webstore. The minimum order amount will apply to all members and non-members. 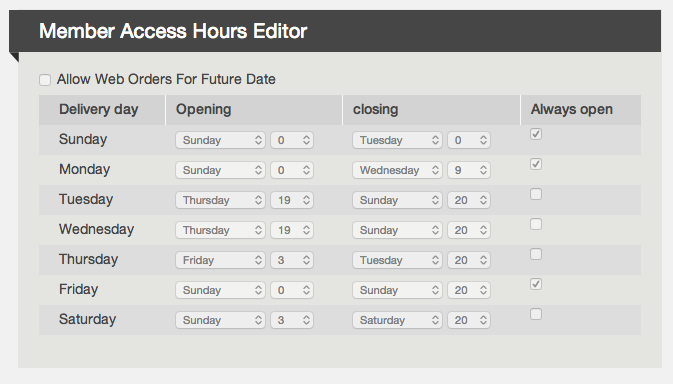 You can edit your member access editors under Settings --> Store Settings. The chart below allows you to set open and closing hours for each of your delivery days. To learn more, click here. 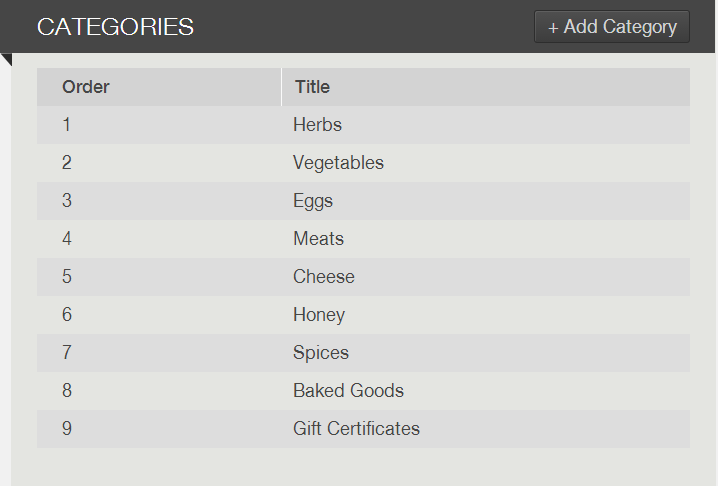 These are the categories that appear in your webstore. You can add as many categories as you would like. You can also edit the titles of your categories or change the order they are presented. To add a category, click + Add Category. To edit the order of the categories, click edit above and select the number in the drop down you would like the category to appear. 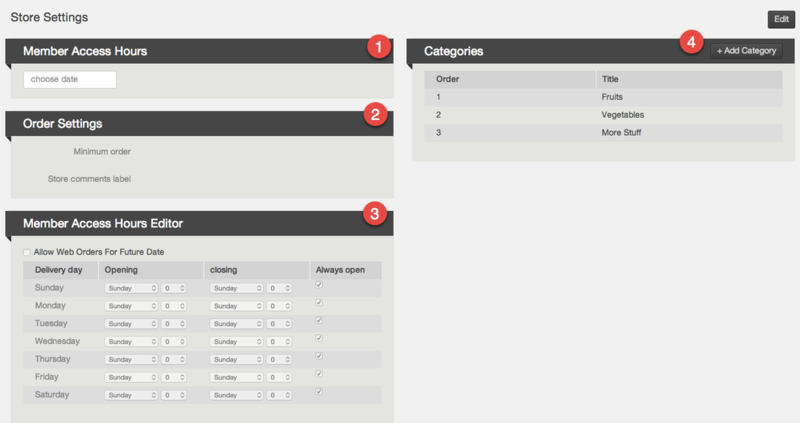 Below is how categories appear in your webstore. A category will only appear if there is a published item assigned to it.